How did we not see this coming? It turns out that the combined brilliance of the scientific minds of the United States, China, and Japan could not accomplish what a single inventor in Iran did – produce a working time machine. To be honest, this isn’t the glam Hollywood version of a souped-up DeLorean speeding into the future and past. Instead, 27-year-old Ali Razeqi, the managing director of Iran’s Center for Strategic Inventions, has given us a device that uses complex algorithms to predict details of your life 5-8 years into the future. Well, isn’t that special? It certainly would be if the scenario didn’t reek of a scientific community out of touch with the rest of the world for approximately 19 centuries suddenly making wild claims for attention. Razeqi went on to provide more details in an interview with Iran’s state-run news agency, Fars. Brace yourself, gentle readers. But wait a minute. it appears there might be trouble brewing in Tehran. 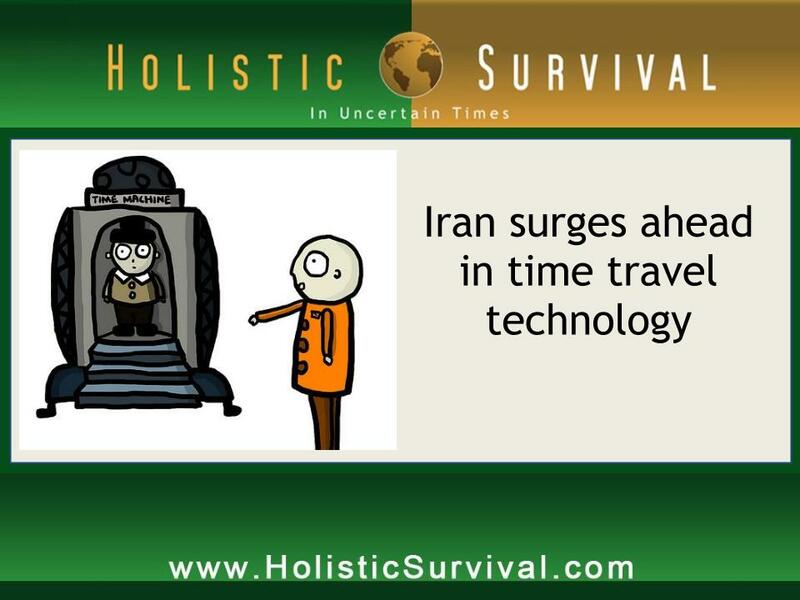 In a direct contradiction of Razeqi, Iran’s Deputy Minister of Science, Research, and Technology rebutted the claim of a working time machine. Mysteriously, the link to that interview with Fars has disappeared from the Internet.